All prices are modular according to customer's requests, in relation to the service offered, the period of rental required and the porsche model required. Fill out the form on this page to compare prices and know the Karisma Luxury Rental personalized offer. EMILIA ROMAGNA: at Bologna Guglielmo Marconi Airport (BLQ), Luigi Ridolfi Airport (FRL), Ravenna, La Spreta Airport (RAN), Rimini, Miramare Airport (RMI), Riccione, Reggio Emilia, Parma. CAMPANIA: Capri Airport (PRJ), Naples Airport (NAP), Sorrento Airport (RRO), Positano, Amalfi, Amalfi Coast, Ischia, Caserta, Salerno. TUSCANY: Florence Central Station of Santa Maria Novella, Firenze Rifredi Station, Gal Galilei Airport (PSA), Peretola Airport (FLR), Baccarini Airport (GRS), Lucca Airport (LCV), Marina Di Massa Airport (QMM) Airport (EBA) Elba Island, Montecatini Terme, Pistoia, Prato, Forte dei Marmi, Livorno, Grosseto, Punta Ala, Arezzo, Siena, Montepulciano, Montalcino, Pienza, San Gimignano, Val d'Orcia. UMBRIA: Sant Egidio Airport (PEG), Perugia, Assisi, Spello, Terni. LAZIO: Ciampino Airport (CIA), Fiumicino Airport (FCO) Rome, Viterbo, Rieti, Latina, Frosinone, Ostia, Civitavecchia Marittima Station. Descrizione: An exceptional supercar, a real power “monster”, with an incredible engine that leaves you no space for doubts. It is a 2 seats able to accelerate from 0 to 100 km/h in less than three seconds, with a maximum speed of 325 km/h. There is a tunnel inside which separate the seats and have all the controls. Few seconds are enough to understand all the functions. All the Porsche models know how to download the power of their engines, remaining gripped on the ground. The spin of these engines always give you the chills, with their biting and involving sound. 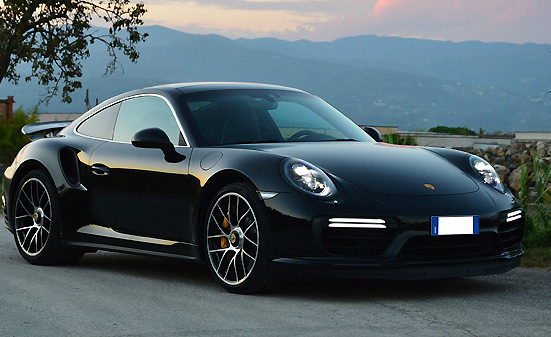 Rent a Porsche 911 in Italy: Model: Porsche 911 Where: Italy, Venice, Rome, Milan, Florence, Turin, Naples, Pisa, Siena, Tuscany Descrizione: This is a jewel of technology, where performance meets efficiency, and with extremely surprising consumptions. The seats are quite low, few centimetres from the ground, with all the controls well positionned on the central tunnel. PickUp: Milan, Venice, Rome, Turin, Tuscany, Florence, Naples, Pisa, Verona, Forte dei Marmi, Punta Ala, Portofino, Portovenere, Genova, Lucca, Arezzo, Siena, Grosseto, Viareggio, Versilia, Livorno. Shore excursions from La Spezia, Livorno and Civitavecchia. 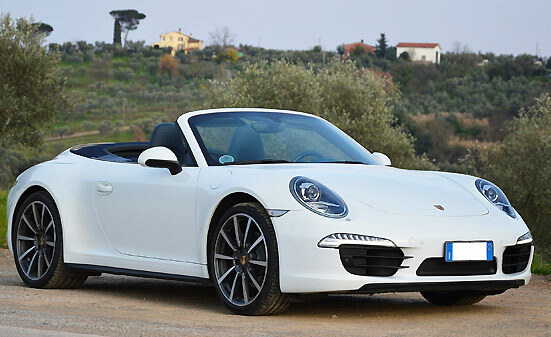 Brand: Porsche, Rent a Porsche in Italy. Which are the most wanted routes? From Milan to Rome or from Venezia to Florence, but also from Turin to Siena and from the Naples Airport to the Fiumicino Airport. Ask now a quote and choose the car of your dreams. Compare prices and choose the car. Our service is really appreciated from our guests, also because we are very fast in delivering the cars. We do care about your needs, we respect your expectations regarding efficiency and speed. All the folders and records are handled before your arrival. Once out of the gate at the airport, or in the hotel parking, you will find the personal assistant from Karisma Luxury Rental, that will give you the car keys and all the informations you need for a pleasant trip. Precision and speed will be present also during the car return, at the end of your stay. You could tell the personal assistant about the time and the place you prefer to return the car. It is the most appreciated service from our clients, because of the possibility to get the car in a town and return it in a different one. Let yoursel be lead by the emotion and drive along the most beautiful roads of Italy, avoiding the returning back to give back the car. Choose the place and the time for the car return. The Karisma Luxury Rnetal personal assistant will take care of all the rest, with a careful, elegant and discrete service. 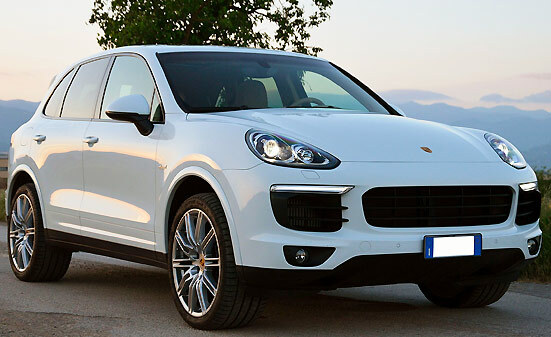 "I rented a Porsche Cayenne with delivery at Milan Airport and return Rome Airport." This is a very efficient service and punctual, and most important for my travels in Italy, very puntcual. The cabin of the Platinum version has the same sports planning of all the porsche models. I really appreciated the low fuel usage (with the system start and stop, very good in town) From the driver's seat the look is great from every side. The personal assistant is really professional and there for every question. Great service!